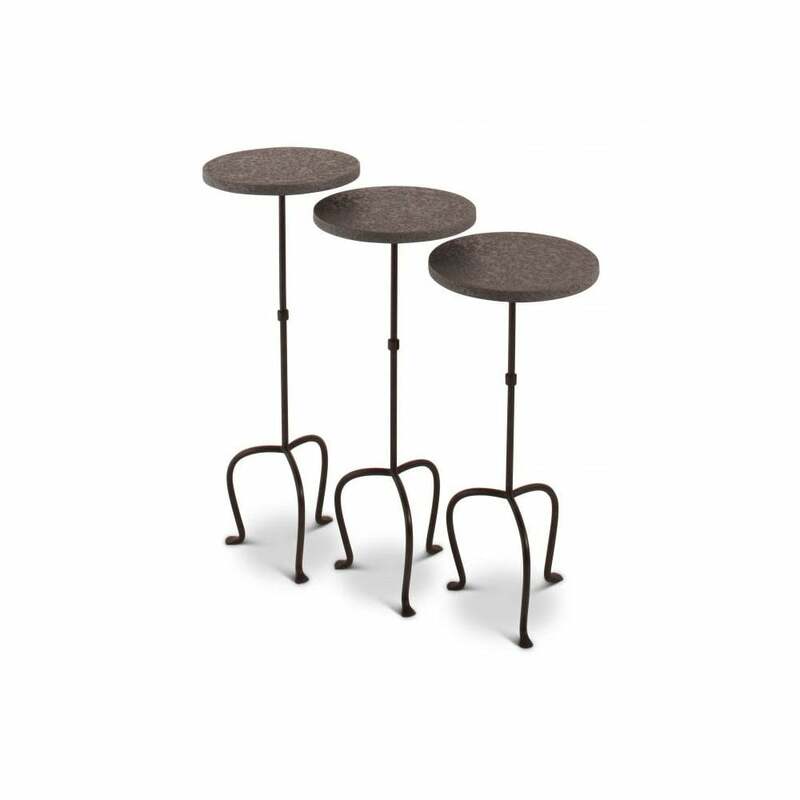 Perfect for a glamorous home bar, the Trio of Cocktail Tables from Porta Romana are designed to be easily moved wherever they are required. Stylish and sophisticated, the trio of tables are the ultimate accessory to enjoy cocktails and entertain guests. Crafted by skilled artisans, the unique shapes are hand-bashed using forged steel to create their curved legs. These Parisian style tables are topped with a mixture of paint, lacquer and texture which is applied by hand to resemble polished metal or industrial concrete. Available in Bronzed with Faux Bronze or Dark Faux Concrete tops. Make an enquiry for more information.